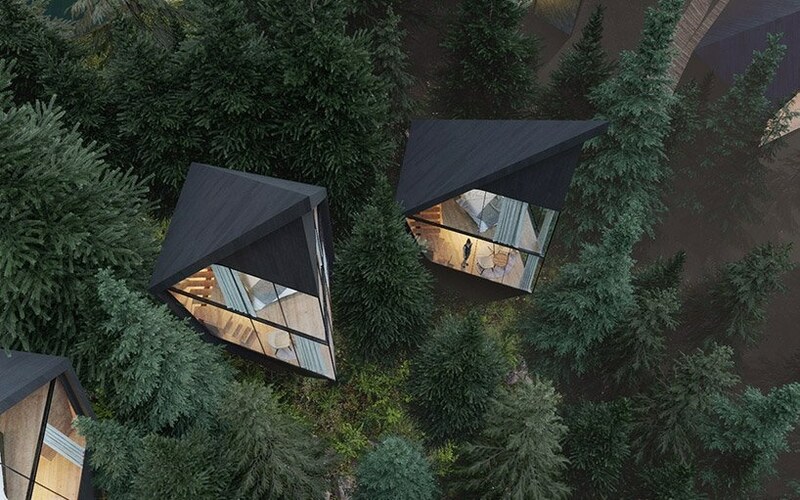 the project is envisioned as an addition to an existing hotel and intends to create a new experience of living in the woods with maximum connection to nature. 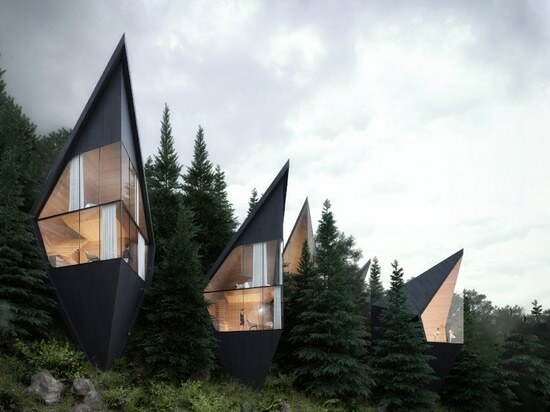 with their sharply pitched roofs, the geometry of the structures is inspired by the surrounding fir and larch trees and they will be constructed from local wood, hence establishing the project’s sustainable credentials.the units have been designed by the architect to comprise of two levels and range from 35 to 45 m2. on the lower level, there is a small reading / lounge area, while the upper level includes the sleeping area and a small bathroom. 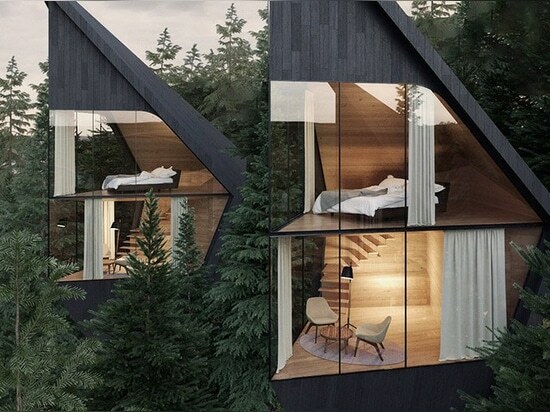 the two floors are connected via a small internal stair. 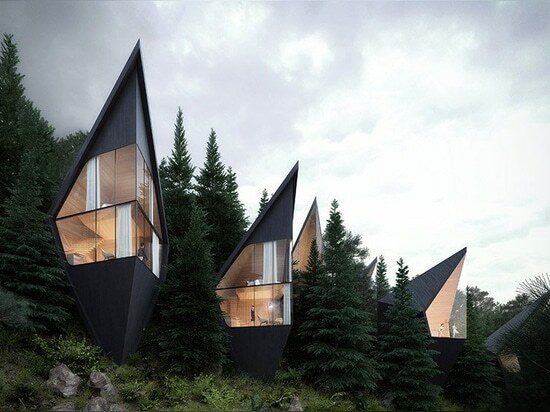 the structures are imagined to be constructed from wood, with the exterior clad in blackened timber, blending in to the backdrop of greenery. 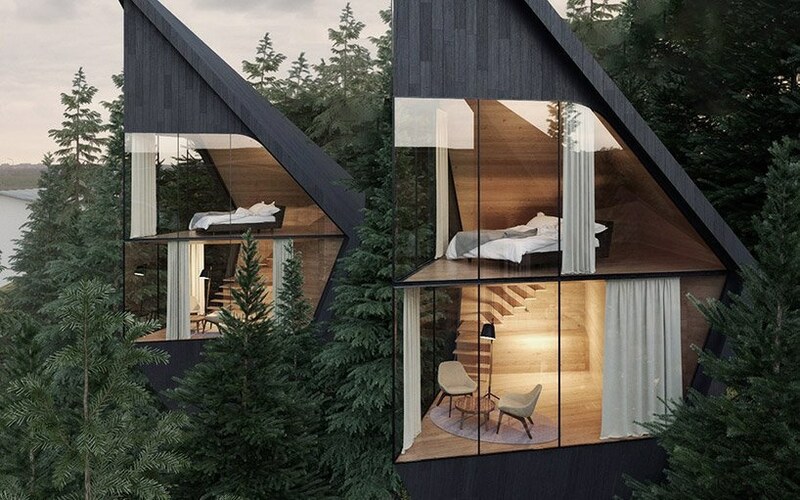 internally, the natural wood is exposed to form a warm, inviting environment for guests. 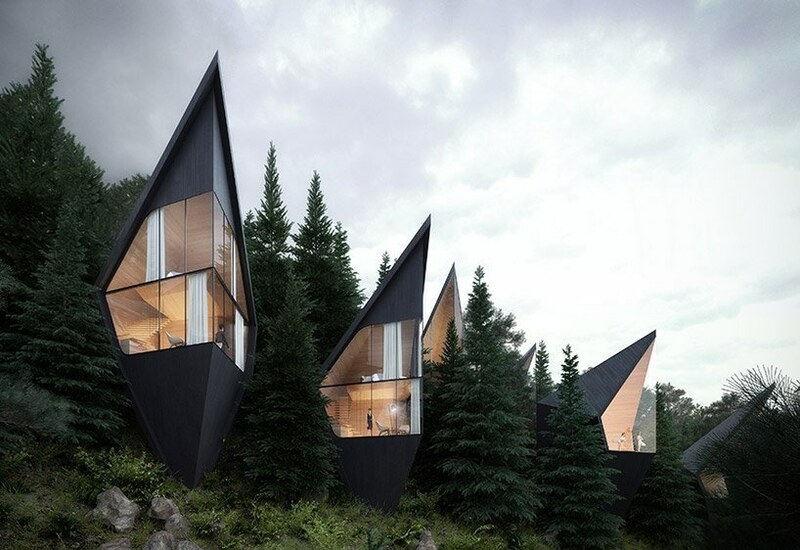 large expanses of glazing are also used in the design to provide impressive views of the italian dolomites. 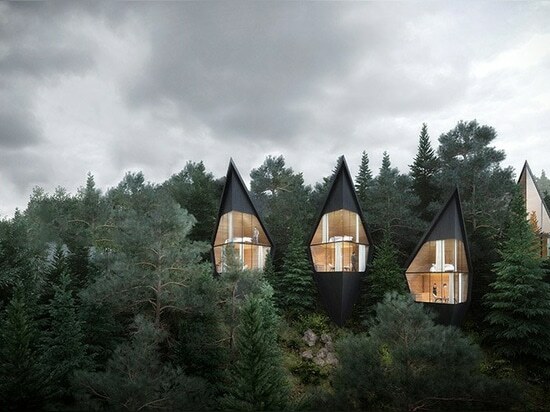 the project is conceived as a ‘slow down’ form of tourism where the integration of architecture within nature plays a primary role. 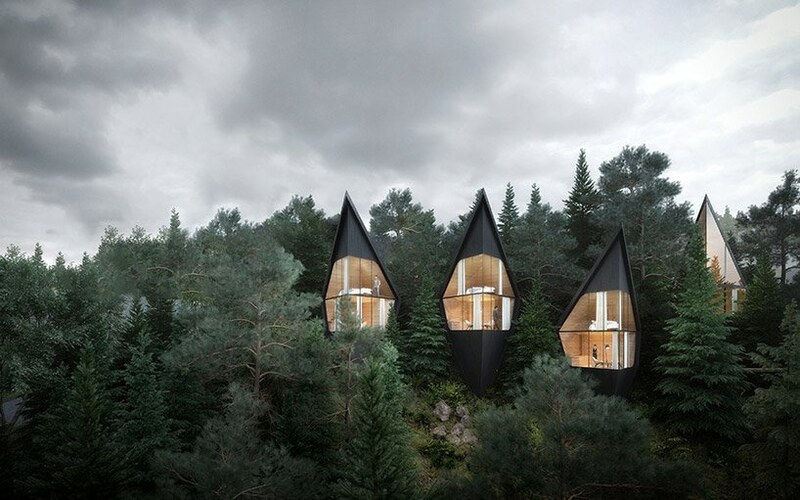 far from the conventional idea of a hotel, the tree houses by peter pichler architecture offers guests a unique experience. 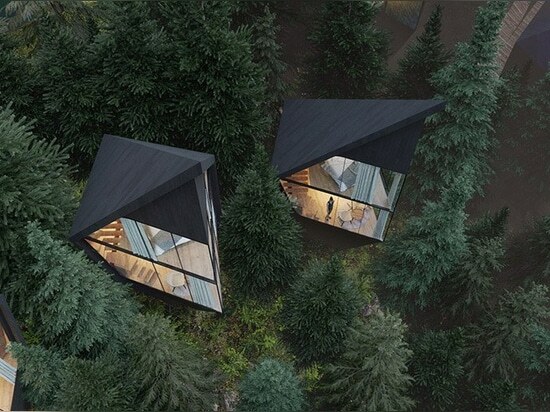 in essence, the compact structures provide the opportunity to immerse oneself in nature.